Israeli PM Netanyahu said Israel is "conducting these surgical operations against terrorists" when in reality civilicans are getting killed, including an entire family. This is crazy. They are all kids on the frontline. Aged 9 and up. Average age by the look of it is 15. Kids lie to me about their age, say 12 when they are clearly 10 years old. Most are wearing surgical masks and eyes red from teargas. By asking a few why they are here, they say their older brothers were injured or killed by police. It's not clear if this is meant literally or not. Not only protesters are being teargassed and hit at by shotguns in their face on the outskirts of Tahrir square. They are being dragged, beaten and tortured on the streets. This is not new. What's new is that this was broadcasted live on TV tonight. 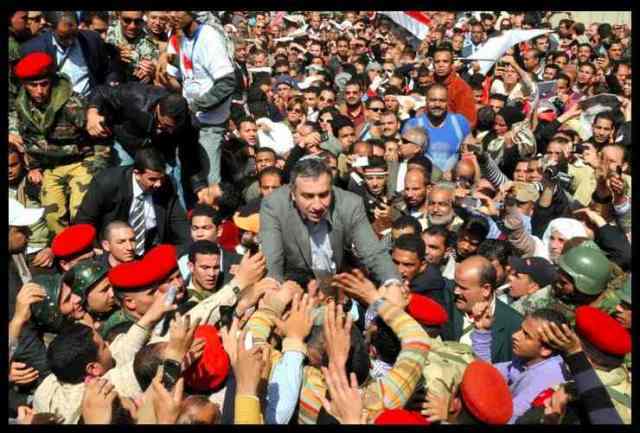 This happened before during Mubarak and SCAF. But it's new for Morsi. مش بس المتظاهرين بيضرب عليهم غاز وخرطوش في وشهم في محيط ميدان التحرير. لأ ده بيتسحلوا ويتضربوا ويتعذبوا في الشوارع، ده مش جديد، الجديد هو ان ده أتذاع على الهواء الليلة. ده حصل مع مبارك والمجلس العسكري، لكن أول مرة لمرسي. Very little is spent by the government on health care (5.7% of total government expenditure). While private expenditure (from people's own hard earned cash) on health care is higher than what the goverment pays. Thousands of medical graduates every year are introduced to a difficult job market where they have few options. 13 Months ago, we got rid of Ahmed Shafik the prime minister. Essam Sharaf came to Tahrir square on a Friday to 'draw legitimacy' from it. People chanted and asked him to take the oath at the square but he refused. At that time we had no parliament and SCAF had all the powers. The Benford law is a very interesting mathematical observation of naturally occuring numbers. In such numbers the frequency of the first digit from 1 to 9 has a certain pattern. One third of all numbers will have number 1 as the first digit, 17% will have number 2 as the first digit and 12.5% will have number 3 and so on. This can be used to detect if numbers have been manipulated. This is commonly used in detecting financial fraud and sometimes election data. The Judges from Egypt* group published a detailed count of the presidential elections runoffs between Ahmed Shafik and Mohamed Morsi. The data is of 350 main electoral stations, which provides sufficient granularity to examine the phenomenon described. Plotted in the graph below is the rate for Morsi, Shafik, invalidated ballots and the ideal Benford rate. You can see that there isn't much deviation and the numbers follow Benford's law (green line). In Morsi's first digit the number 6 and 7 are more frequent than expected. I used the chi square test and it wasn't a significant difference (p=0.99). Although article 28 of the constitutional declaration means that whatever result published by the Presidential Election Committee is final. If the data is published in sufficient detail we can compare the numbers to what have been collected so far and see if the final numbers were manipulated.